If you were a woman-about-town in the early nineties, and you had a big event in New York City – a wedding, Bar Mitzvah or sweet sixteen – it is likely that Laura Geller did your makeup. Equal parts nurturing and outspoken, with a thick New York accent and a skillful hand, Geller cultivated a passionate following out of her makeup studio on the Upper East Side, doling out makeovers and waxing philosophical over sugar cookies and Prosecco. Her charisma was contagious – so much so that when Geller launched her very first product on QVC in 1998, a highlight and contour kit, it sold out in minutes. Seventeen years later, Laura Geller remains the longest-standing beauty line on QVC to date. The brand is perhaps best known for a primer called Spackle, as well as a collection of uniquely formulated pressed powders that are baked on terracotta tiles in Italy. The brand is famed for a primer called Spackle and its uniquely baked powders. After catapulting to success in home shopping, however, Geller soon realized that she didn’t possess the retail experience, operational expertise or capital necessary to expand into brick and mortar distribution. “QVC was successful, but it was completely consuming the focus of the business – and me,” she says. The brand exited Sephora in 2009. So in 2012, Geller made a pivotal and somewhat emotionally-wrought decision: to bring on a private equity investor. She sold a majority stake of her company to Tengram Capital Partners, a three-and-a-half-year-old firm that focuses exclusively on branded consumer and retail businesses. “Of course it can be emotional – it’s your baby,” Geller says of the decision. However, she also felt a certain amount of post-transaction relief given that that the burden of ownership was now shared. Little did she know that the risk would pay off in a relatively swift turnaround, forever altering the trajectory of the company she founded all those years ago. For Tengram, which currently counts a portfolio of eight investments including DevaCurl and Nest Fragrances, the beauty industry has been an especially fertile landscape. For one, beauty tends to be a fragmented market, says Tengram partner Richard Gersten, where indie brands like Geller’s comprise an unusually large market share. It is also an industry where acquisitions – such as L’Oréal’s $350 million purchase of Urban Decay and Shiseido’s $1.7 billion Bare Escentuals buyout – are fairly commonplace. These sales, which can be worth as much as three times the value of a firm’s initial investment, are the only way investors can ultimately cash out, Gersten says. 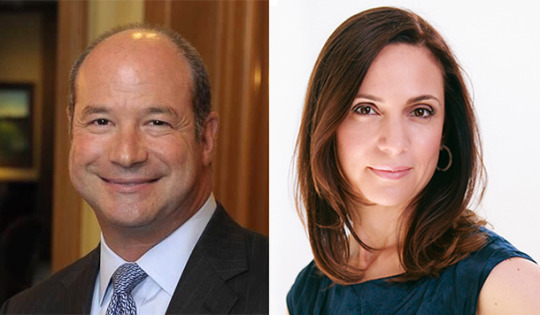 Richard Gersten and Elana Drell Szyfer, who serves as Laura Geller Beauty’s CEO. While he declined to provide specific terms of the Geller deal, Gersten noted that Tengram generally spends between $15 million and $40 million on each investment, and hopes to hold onto properties for no longer than seven years. Beyond capital, however, the true value proposition of an equity firm lies in its implementation of new corporate structures and strategies. For instance, after coming onboard, Tengram re-outfitted Laura Geller’s entire executive bench, tapping beauty industry veteran Elana Drell Szyfer (who also acts as an operating advisor for Tengram) as the company’s CEO. The team also embarked on a radical rebranding. Geller’s logo was streamlined with an airy new typeface, and the line’s glossy black packaging was replaced by sleek white cartons accented in pink and rose gold. Admittedly, some of Tengram’s decisions have been hard for Geller to swallow. In a bid to create some distance between Geller’s personal celebrity and the brand itself, for instance, the team decided to give Geller a new Twitter handle. “Telling the founder she can’t post on the corporate account anymore? That’s a fun conversation,” Gersten laughs. Today, while Geller still appears as a brand ambassador on QVC in the U.S. and the U.K., she is mostly uninvolved in day-to-day operations. Nevertheless, her ethos inspires the development of new products, says Drell Szyfer, and, when she so chooses, Geller is included in major decisions – typically in their later stages. If the journey has been a little bumpy, the results speak for themselves. 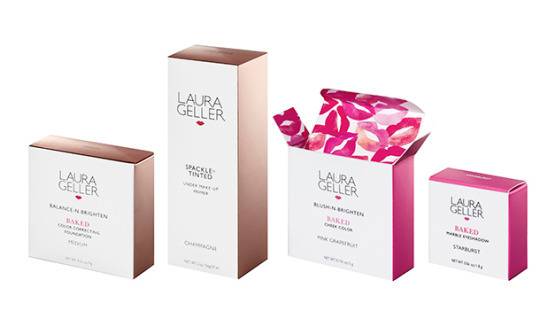 In just over two years, Laura Geller has rocketed from $60 million to $100 million in total retail sales, industry sources say. After doubling the brand’s gondola footage in 740 Ulta doors nationwide, the team also secured new distribution at 55 Beauty Brands locations and at Nordstrom.com. On QVC – the brand’s bread and butter – Laura Geller raked in $41 million in sales last year, a gain of 12 percent from the year prior, while the network’s overall beauty category remained flat, according to sources. This is precisely the model that Tengram is hoping to emulate. And to do so, the team knows it is of critical importance to keep an entrepreneurial fire alive.